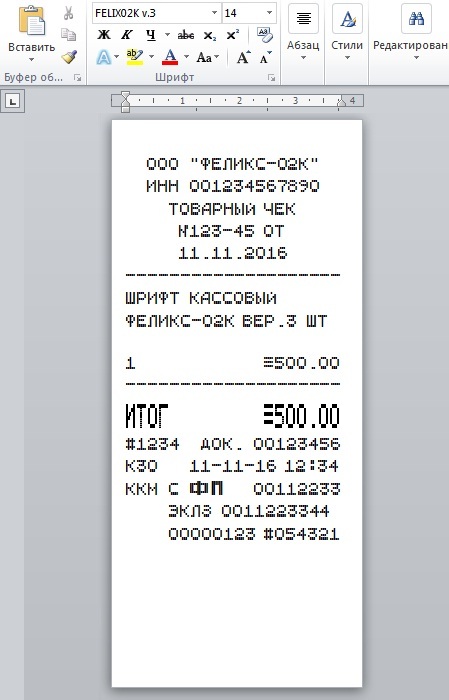 Cash register font FELIX-02K (version 6x6 points) in TTF format (Russian and English letters) for use in Microsoft Word. 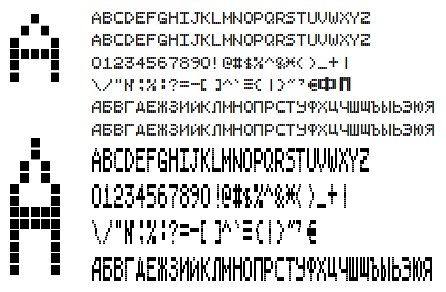 The archive is a standard and tall fonts in TTF format and check pattern. You just have to install the fonts in the system (usually C: \ WINDOWS \ Fonts), open the template and start editing. Print checks, preferably in the thermal printer, a cash Thermoband. Although you can print on inkjets and laser, with the ability to display the fax paper. Best quality, of course, when printing on thermal transfer.